You may have lost the weight and has fully accomplished your “summer bod” goal but this is not the time to slack, this is when you need to be more careful and continue with the healthy lifestyle you have started. Summer may mean being lazy, pigging out, endless outings and whatnot so you have to make sure you stay fit and healthy during those days! 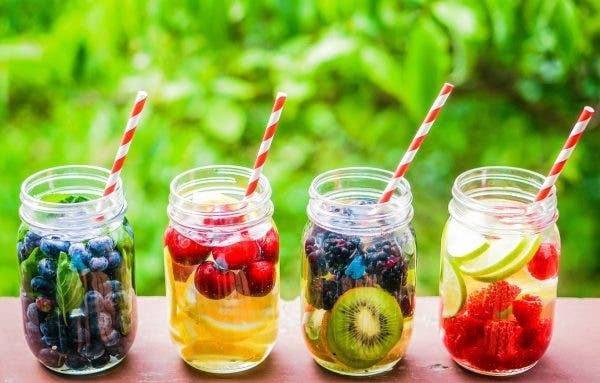 Not only a refreshing drink, this is totally good for cleansing and detoxifying the body as well. All you need is 1 liter of water, 1 cup strawberries, ½ tbs of cinnamon, 1 pc of lime (juiced) and Ice (optional). By blending all together, you get a healthy and refreshing smoothie! Aside from full efforts of healthy detox, it could be easier if accompanied by supplements. Detox and Cleansing can be easy especially if you have a supplement that can help you reach your goal. You just have to look for components such as Oat Fiber, Alfalfa, Aloe Vera and Psyllium Husk that is responsible for easy colon cleanse and Green Tea and Pu’er Tea which helps your body digest fat faster than normal.